Email marketing is the act of sending a commercial message, typically to a group of people, using email. Attempts is often made to differentiate email marketing from Marketing Automation. With email marketing being ascribed the responsibility of sending super personalized, responsive, beautiful emails in just a few clicks. And Marketing Automation as responsible in generating personalized response based on customer actions and sending automated follow-ups. However, the seemingly difference in these two digital marketing strategy is more in their role. The both operates with the same principles of reducing your clicks and reaching more target audience with faster response rate; which is the focus of this article. An attempt to launch email marketing campaign is a strategy to generate a contact list/lead list of customers. These customers would have to give you their consent and permission by subscribing to allow you sent newsletters of current happenings in your business thereby advertising and selling your products or services to them through their emails. Email marketing is quite a good place for a startup in digital marketing because as I mentioned in my previous article:- 101-resources-for-digital-marketing-in-future , it is the easiest campaign to launch. It has the cheapest ROI within digital marketing. It is also the most reliable strategy for driving business growth by having people subscribe for updates on your products and services. When you subscribe with such tools they would help you synchronize your media activities into one and provide a subscription form in all your sites. It is the responsibility of these tools to prompt your viewers to fill up the form and drop their emails for subsequent updates. Yours is to keep your sites loaded with traffic. It is these tools also that is responsible in automating your messages and furnishing you with email templates. Keeping your email database clean, up to date and of value for customers. Ensuring your audience are targeted and segmented enough. Seeing to it that the subject line is adequate, straight to the point and informative. Ensuring that you are following the rules of CAN-SPAM regulations. Once a choice of email marketing server has been made. Next you’re face with the task of growing your email contact list. You would need simple, enticing and strategically placed opt-in forms for customers to sign-up. Once you have your optin form and your email marketing service in place, you are ready to start building your email list and making sales. Often times, you might need to use lead magnet to encourage customers to subscribe. A lead magnet is something valuable you would offer your customers in exchange for their email address. Cheap lead magnet include digital materials like PDFs, MP3 audio files, or videos that you can create yourself at minimal or no cost. Most times you would need a template for your emails to make sure email designs follow brand values. Email template is a pre-defined email layout, that may already include content like images or text. A lead is a group of prospect with an unknown level of interest in your products or services. Lead scoring involves analyzing each categories based on some categories like number of emails opened by individual customers, this will enable you to rank your prospects by assigning point values to different criteria and actions to identify those leads who are most interested. It also allows you to address each of your prospects differently according to their level of interest. Lead scoring goes in hand with segmentation to enable personalized messages. But beyond personalizing emails, lead scoring enables you to analyze your customers and direct your the information you would serve each categories of your customers. A successful digital marketing campaign requires a comprehensive statistics. This is to enable proper planning and strategizing. Deliverability: Your deliverability rate is the number of emails that made it successfully to the target recipients email. Email Open Rate; The open rate shows the number of recipients who opened your email. Email Click-Through Rate. ;The click-through rate shows the percentage of subscribers who clicked a link in your email. Unsubscribes, bounces and other statistics. Sending time that generate more response. All said and done, analyzing the response from your mails allow you to discover where you need improvements. When it is implemented, this enables you to re-strategize and the result is a boom in the growth of your business. So we see that email marketing is quite a very easy campaign to launch. As well, its importance in growing your business can not be over emphasised. Email Marketing is the most reliable and wider reach digital marketing strategy. Comment your experience. Have you ever used email marketing for your business or not? Do you have pop-up or opt-in form for your blog? 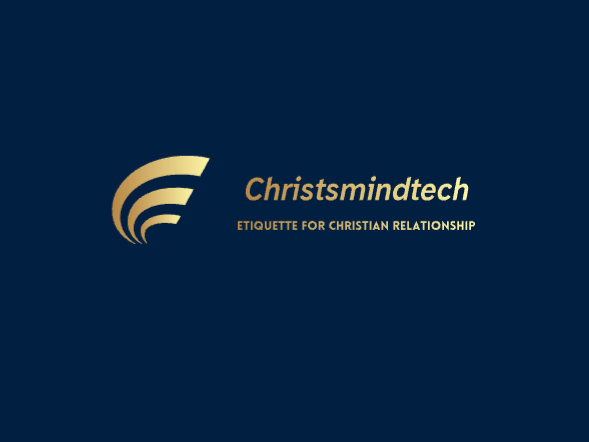 Pingback: Email Marketing Strategies and Tips to Grow your business in 2019 — CHRIST’S MIND TECH – The Hobo Marketing Co. Previous THE EPIC OF COVENANT RELATIONSHIP: LEARNING FROM THE FRIENDSHIP OF JESUS WITH MARY, MARTHA, AND LAZARUS. Next A CHRISTIANS VIEW ON VALENTINE’S DAY: DOES VALENTINE’S PRACTICES SUPPORT THE CHRISTIAN VIRTUES OF LOVE?